Using a garden hose, wash away all of the sediment that has settled on the furniture. If it is a cabinet piece with drawers, attempt to remove the drawers and the contents. If the drawers are stuck, you may need to remove the back of the cabinet in order to push the drawer box out, causing the least damage to the drawer box. Once you have removed the contents and the drawers, you may then rinse out the piece and the drawers as much as possible. To prevent or kill mold/mildew, mist the wood with 10% Clorox/90% water using a simple spray bottle. Allow the mixture to soak in and then rinse it off with fresh water. Remember, it has already been wet so you will not hurt it any further. If possible, remove any hardware like drawer pulls or hinges to prevent rust from staining the wood. This also gives you a chance to dry the hardware and save it for use after restoration of the finish. DO NOT USE THE SUN TO DRY WET FURNITURE! Sun drying wood will cause the individual components to warp, twist, or crack, making restoration efforts more complicated and time consuming. If you have power, use fans to dry pieces in the carport, garage, or other shaded area. If you are without power, air-dry your furniture in the same shaded areas. Placing furniture away from the house in shaded area of the yard will allow more air circulation. Again, be sure to avoid direct sunlight. If possible, secure a climate controlled storage facility to store your furniture while focusing your efforts on restoring your home’s structure. This is a good time to contact a reputable furniture refinishing or restoration shop for damage assessment, insurance options, and costs to refinish or restore your valued pieces to like-new condition. Remember; in a time of stress do not discard your cherished furnishings without careful consideration. 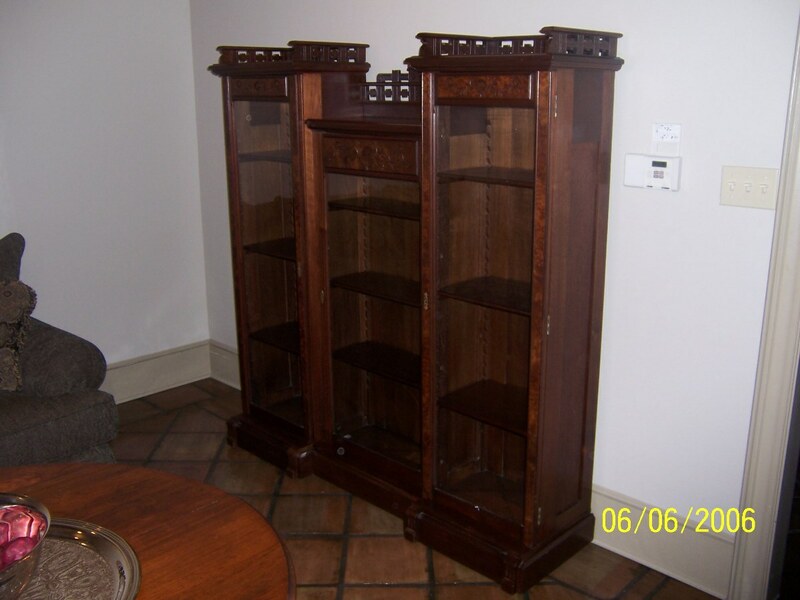 Taking these very simple steps gives great hope for your water damaged heirlooms and other hardwood furniture. Lastly, DO NOT place you furniture near the road at any time if you plan to keep it. Salvage people will often come to flood stricken areas to confiscate and sell good, discarded furniture. Many families abandoned furniture in 2005 following hurricanes Katrina and Rita, only to regret it later. George Parker is the owner/operator of Parker Woodworks, a full service professional furniture restoration shop in Lafayette, La., serving the Gulf coast since 1988. 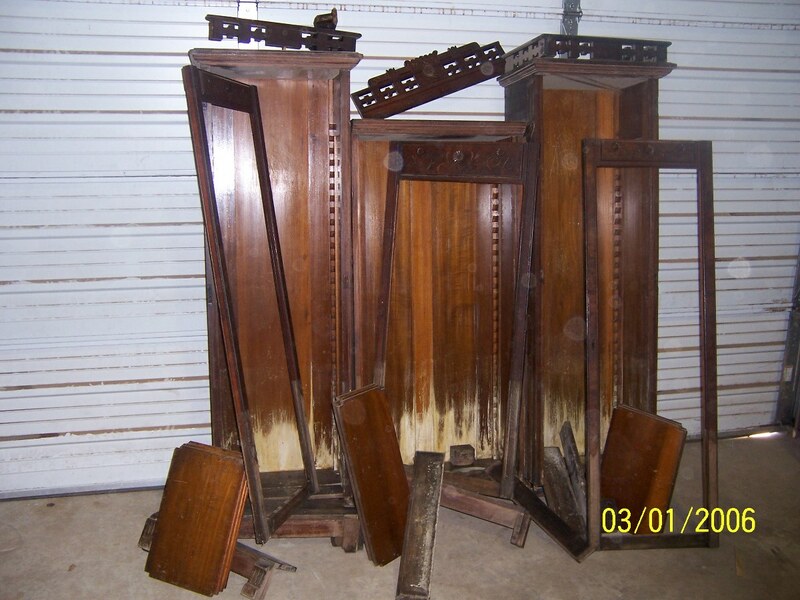 Contact George at 337-232-0306, m-f, 8-4:30, with questions about stabilizing or restoring your cherished heirloom furniture or antiques, or go to www.parkerwoodworks.com to learn more.